Inspired by Harvest Moon, World’s Dawn offers up a colourful seaside village in need of your assistance in a social simulation game that will pull you in for over two dozen hours of gameplay. Players will immediately recognise the familiar top down graphic style as you quickly become enchanted with the Sugar Blossom Village and its cast of 32 individual characters that roam around and go about their day. Mechanically you’ve got crops, livestock, a farmhouse to customise, festivals to enter, fishing, mining, cooking and a hunt for love. Funded out of a Kickstarter campaign shows all the signs of a game that was meticulously created most notably in the writing and design of the townsfolk who all feel unique. This pairs well with the visual aesthetics of each character that help build this image of a small village with its own unique and lively inhabitants. Before stepping into this world you’ll get to select your gender, name yourself, pick a hairstyle and also your preferred romance options. With your character customisation complete you’ll step into the world of Sugar Blossom Village (pet dog following close behind) with players greeted by Mayor Barley before taking over the keys to the old farmhouse and getting your first chance to interact with the game world and your inventory. You’ll also begin to notice the great attention to detail of World’s Dawn from the squirrel running across the road to the carefully placed plants, trees and flowers the world feels extremely real and alive. Split into individual days the tasks that you choose to complete are entirely up to the player. From heading south into the main town to planting crops or engaging in one of the other side activities your time is your own in World’s Dawn. None of these have a particular large amount of depth and is instead more about adding options to how you spend your days while engaging in the strong social sim elements. Of course this leads to never having a shortage of things to do within the superb hand crafted world of World’s Dawn, easily sucking you in and seldom letting go. 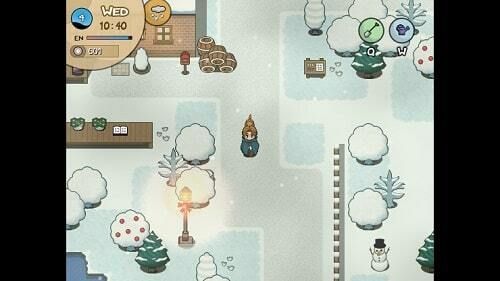 For the fan of Harvest Moon and games like it, World’s Dawn should undoubtedly be added to your list of must plays. 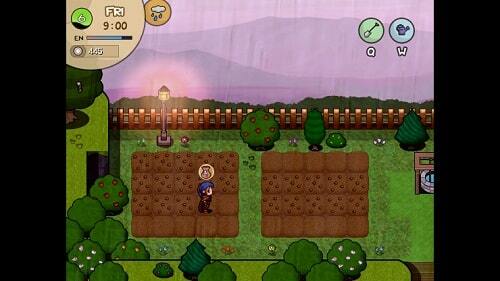 Harvest Moon inspired social simulation game. Harvest crops, raise livestock, fish and mine. Enter into festivals and watch the town change with team and the seasons. 32 unique characters with several romance options. Beautifully crafted world with strong visuals and writing.